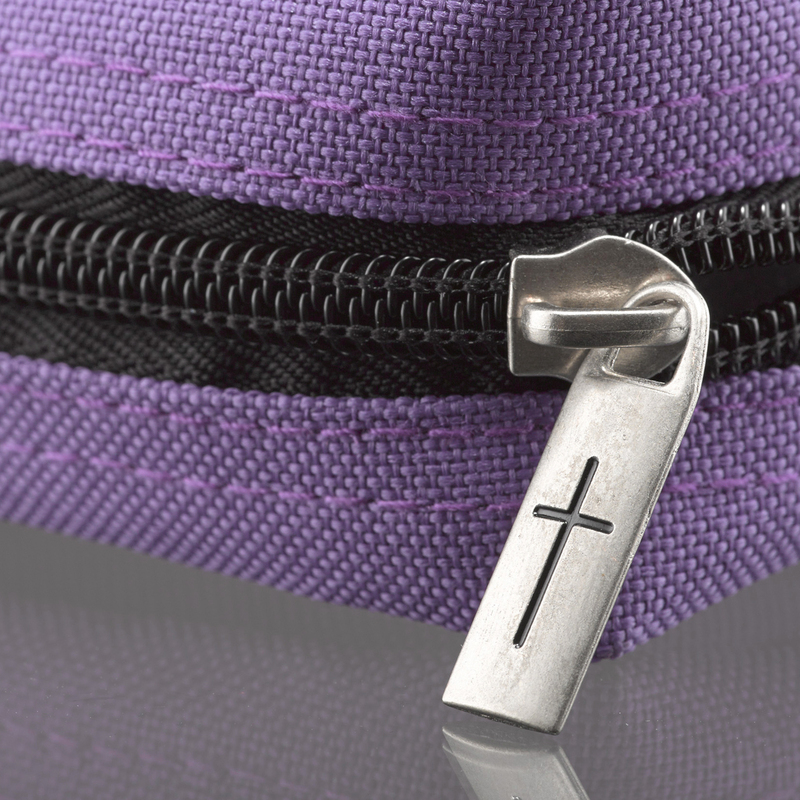 Value priced, heavy-duty poly-canvas Bible / Book Cover features a rubberized fish applique, a cross engraved zipper-pull, convenient carry handle and exterior slip pocket. 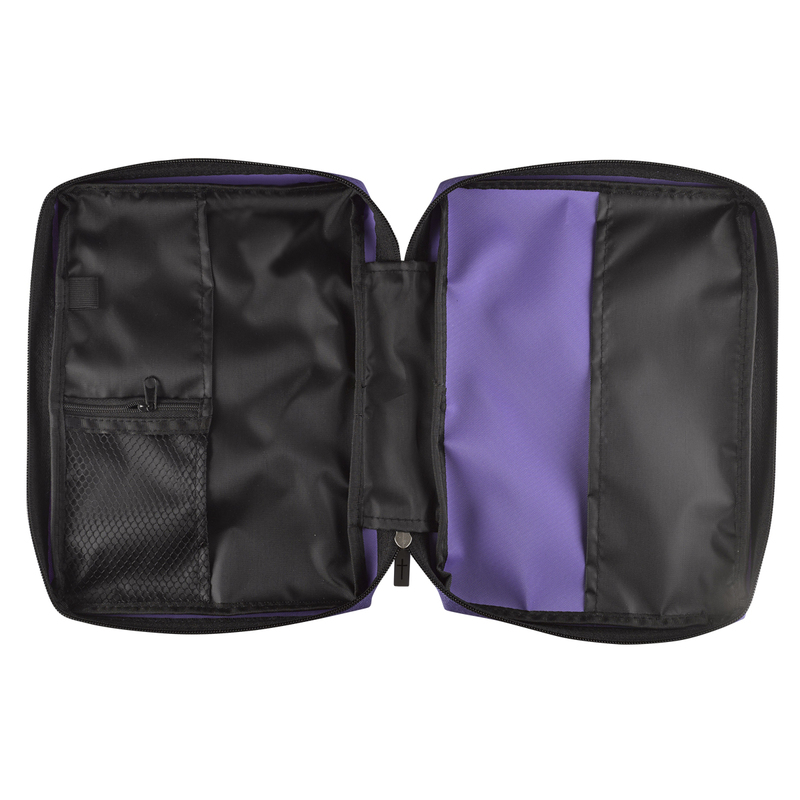 Plus, you'll find a zipped mesh pocket and a pen loop inside of the case. Great features at an affordable price. 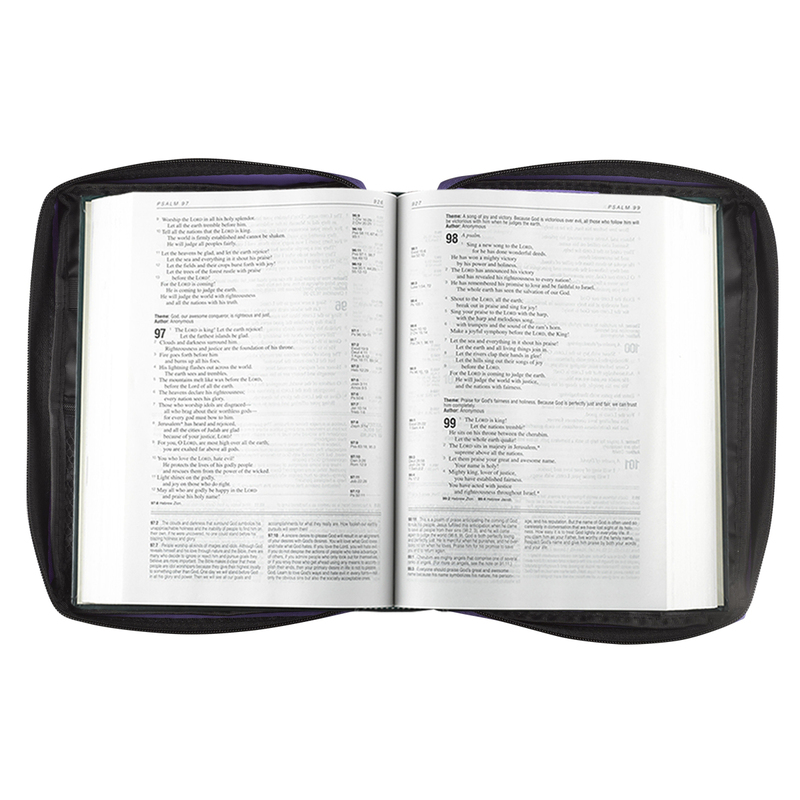 The Large size comfortably holds all popular Bibles such as The New Spirit-Filled Bible, The Life Application Study Bibles and the NIV Study Bible, as well as many other books and Bibles up to 168 x 241 x 50 mm. Promo Poly-Canvas Bible / Book Cover w/Fish Applique (Dahlia Purple) - Large by Christian Art Gift was published by Christian Art Gifts in January 2010 and is our 3395th best seller. The ISBN for Promo Poly-Canvas Bible / Book Cover w/Fish Applique (Dahlia Purple) - Large is 6006937075764. 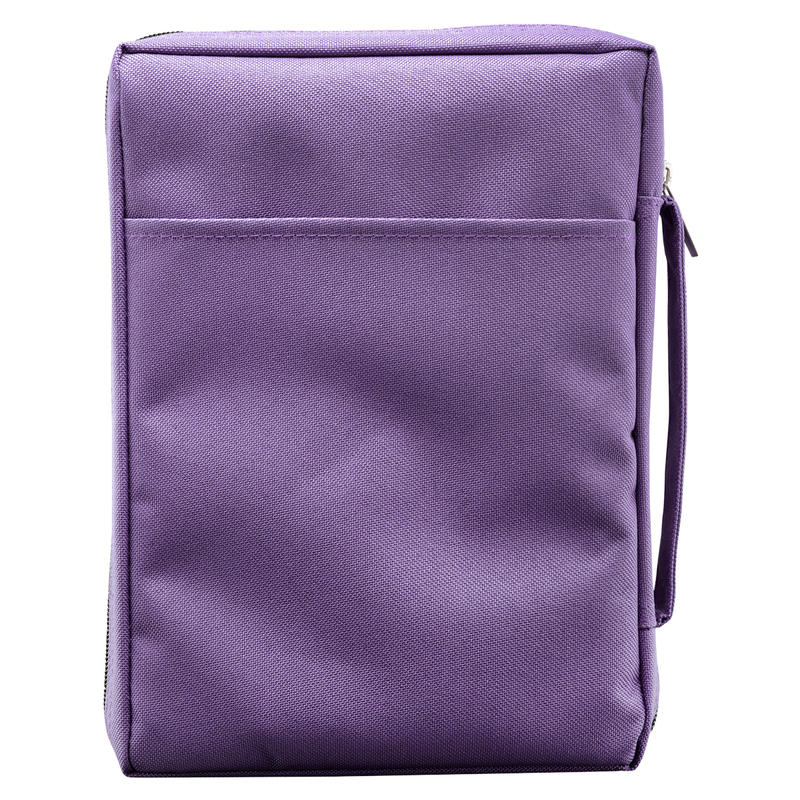 Be the first to review Promo Poly-Canvas Bible / Book Cover w/Fish Applique (Dahlia Purple) - Large! Got a question? No problem! 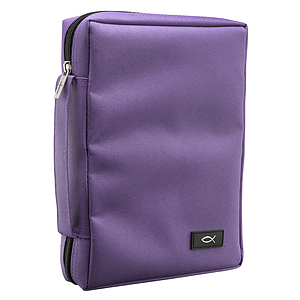 Just click here to ask us about Promo Poly-Canvas Bible / Book Cover w/Fish Applique (Dahlia Purple) - Large.